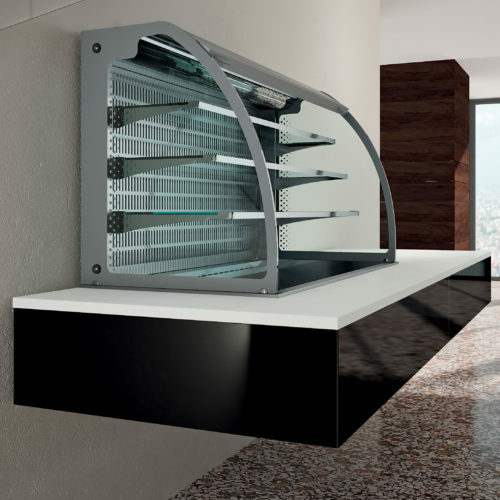 Emainox Drop-In line includes a very wide range of built-in elements for a self-service, with the focus on the smallest details, designed to be used on load-bearing structures which you provide, based on your needs for functionality, appearance, and visibility of the displayed products. With Drop-In we offer you the best rational solution for each function. The line includes traditional elements of the self-service facility along with a great variety of superstructures and static or ventilated display cases. 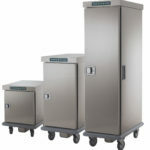 The refrigerated elements can be autonomous or set up for connection to a remote refrigeration group. 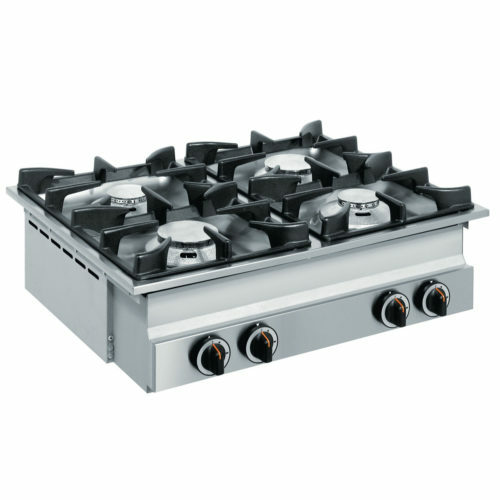 Tops and wells are made of stainless steel 18/10 to ensure the maximum convenience of use and perfect hygiene. All made with the finest materials, designed to optimize consumption and to give you the reliability that you expect from Emainox products. 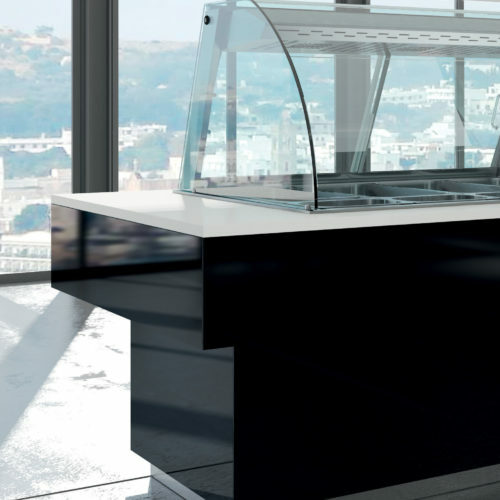 Bain-marie with water, dry heated tanks, glass ceramic tops, refrigerated tanks, refrigerated and heated display cases with humidification for a professional self-service line. 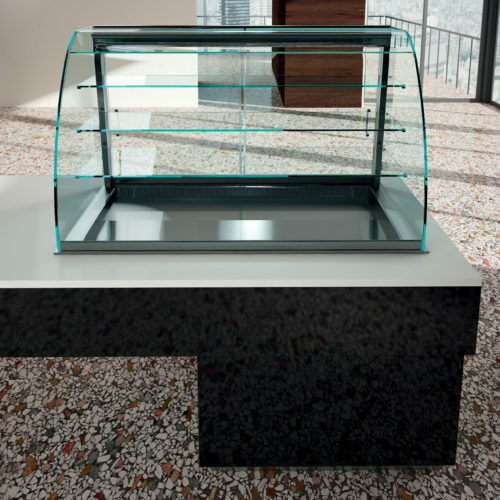 The heated display cases with humidification and ventilation of the Infinity line are perfect for displaying warm food needing a humidified heat. 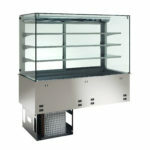 Display cases with the capacity GN 1/1+1/3 in the following versions: heated and humidified, glass ceramic, refrigerated with ventilation, learn more. 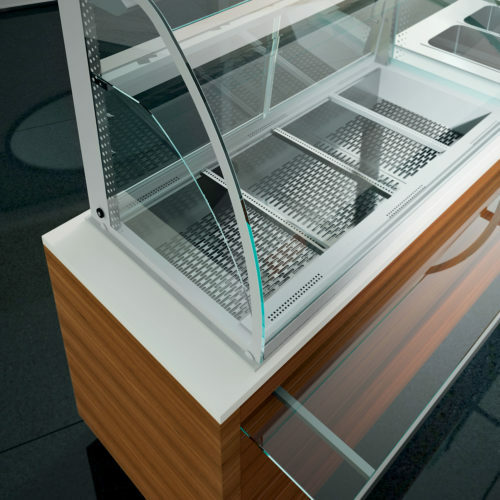 Wall is the line of the wall-mounted built-in refrigerated display counters for self-service, learn more. 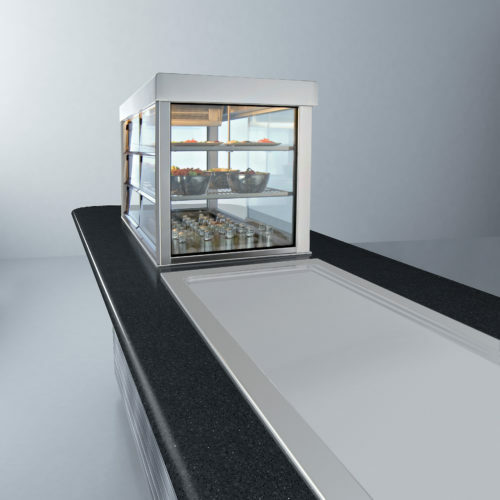 Built-in integrated or independent refrigerated display cases of Compact line is the ideal solution for displaying cold food, such as starters, desserts, and drinks, learn more. 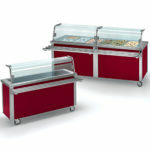 Plenty of new models for allowing all the customers to find, also in the kitchen environment, their own style.